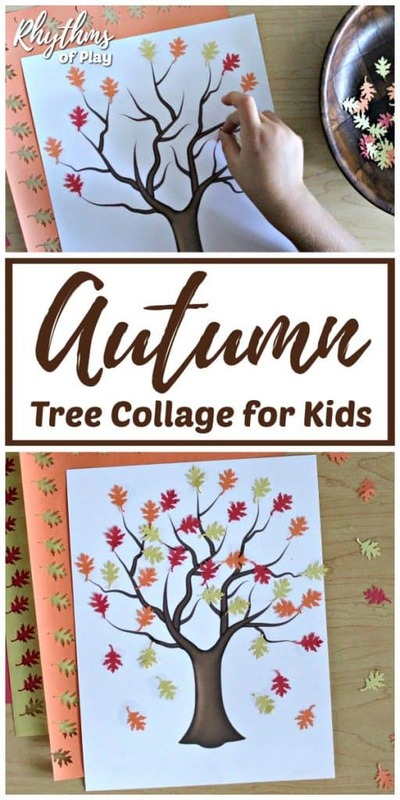 Easy autumn tree collage – A simple fall tree craft and fine motor activity for toddlers, preschoolers, and kindergarteners. Draw or paint your own autumn tree or use our free printable art template to make this super simple fall tree collage for kids! Print the fall tree printable art template or paint or draw a bare tree. 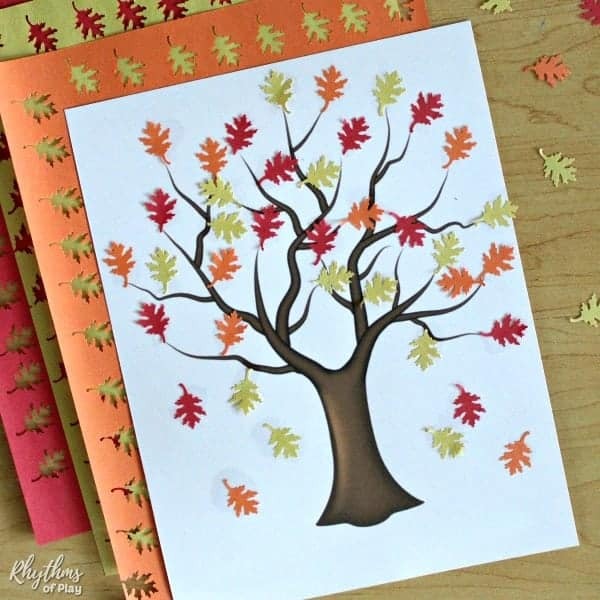 Gather a small leaf punch and construction paper in a variety of fall colors. We used a small oak leaf punch and red, orange, and yellow construction paper for our autumn tree collage. Invite the kids to use a small leaf paper punch to make leaves for their autumn tree art project, or prepare them in advance. Using a paper punch is a fun hand-eye coordination activity for kids and can also help children increase their grip strength. 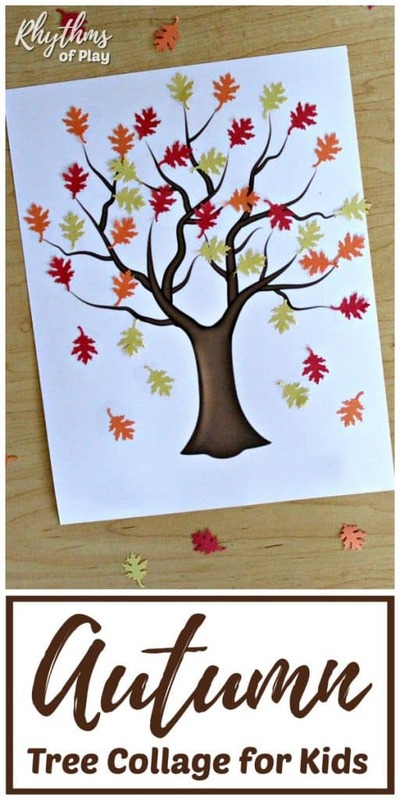 Use a glue stick or white glue to attach the construction paper leaves to the autumn tree craft. This is a great activity to help toddlers and preschoolers develop their fine motor skills to prepare for writing. 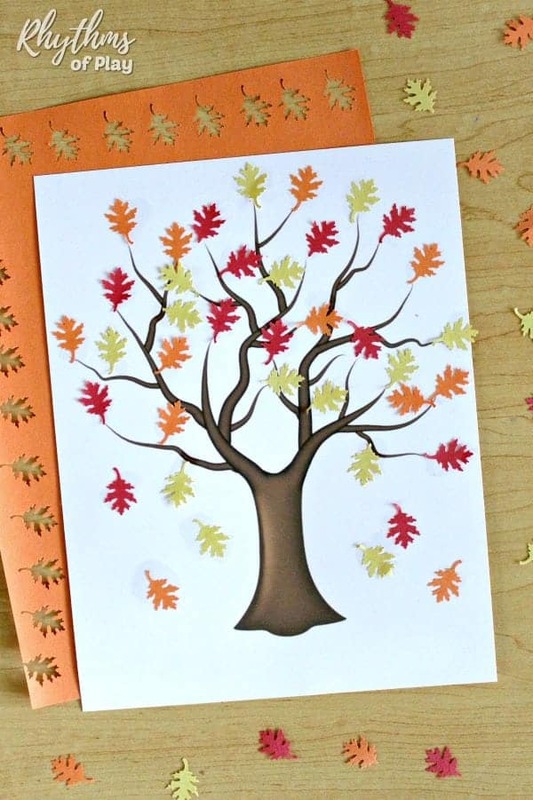 Make an autumn tree collage the easy way! 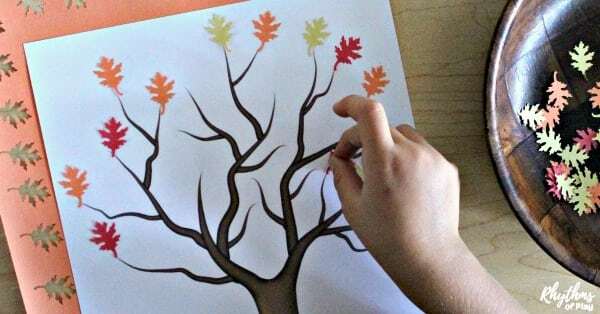 Use a small leaf punch, construction paper, and our autumn tree printable art template to create a simple fall tree craft and fine motor activity for toddlers, preschoolers, and kindergarteners! For more autumn art ideas check out this amazing collection of fall art ideas for children. Don’t forget to have a look at this amazing collection of fall bucket list for the best autumn EVER! Fall Books for Kids: Autumn Stories Children LOVE!